Health Minister Jeremy Hunt visited a Telford GP practice and met with mental health professionals and patients to mark Time to Talk Day, a national campaign against mental health stigma and discrimination. 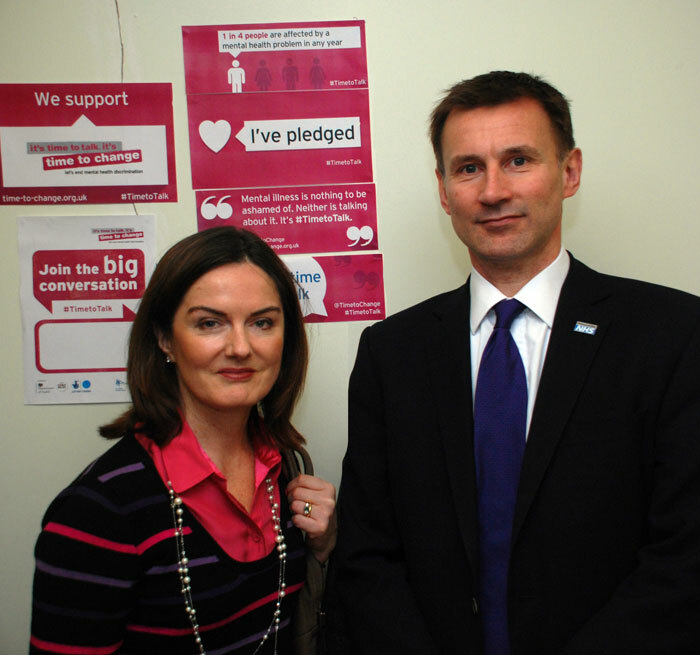 Lucy Allan, a local campaigner and Telford Parliamentary Candidate invited the Minister to visit Trinity Health Centre in Aqueduct, Telford. Time to Talk day is a national initiative urging people to discuss mental health problems in order to overcome stereotypes and challenge misconceptions about mental illness. It was launched by the charity Time to Change, which is funded by the Department for Health, the National Lottery and Comic Relief and run by the charities Mind and Rethink Mental Illness. Mr Hunt also took time to address local concerns about the A&E department at Princess Royal Hospital, urging the local council not to engage in “scaremongering” about the issue. 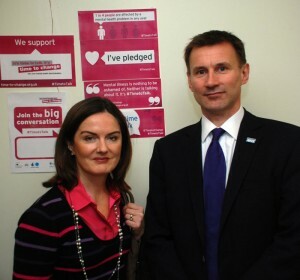 Lucy Allan also took the opportunity to raise the issue of hospital parking charges with the Minister, having recently launched the Telford Campaign against Hospital Parking Charges (TCAHPC) which has already received over 200 signatures.